The 34th annual Connecticut State Latin Day was held Friday at the Holiday Hill resort in Prospect. 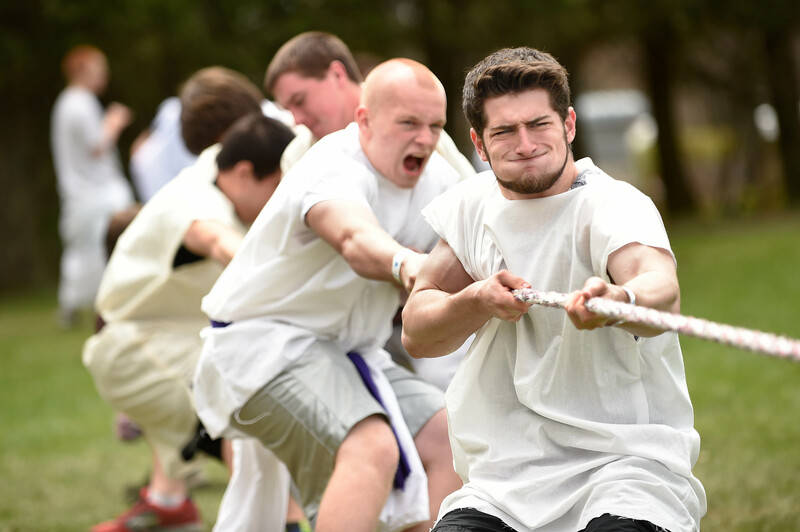 Latin students, most clad in togas, from 52 middle and high schools from across the state took part in the day-long event that included activities that reflected ancient Greek and Roman culture. Students competed in academic competitions in grammar, history, mythology, and geography, and took part in workshops like sculpting, fresco, Roman coins, calligraphy and Greek dancing. There were also athletic games and competitions including tug-of-war, discus (Frisbee) and a decimated marathon of 2.6 miles. Students were able to rotate through various games like volleyball, bocce and badminton throughout the day.